Applications: Internet Server, Network Appliance, Phone System, Digital Signage, Medical Equipment, Kiosk, POS, Entertainment Servers. Option: Quad LAN per system board with 10Gbit LAN option with Xeon X-D1540 SKU. Optional VGA, DP, DVI Graphics Ports depends on different system board. 2 x RJ-45 Gigabit LAN port , optional 2 more on specific system board. 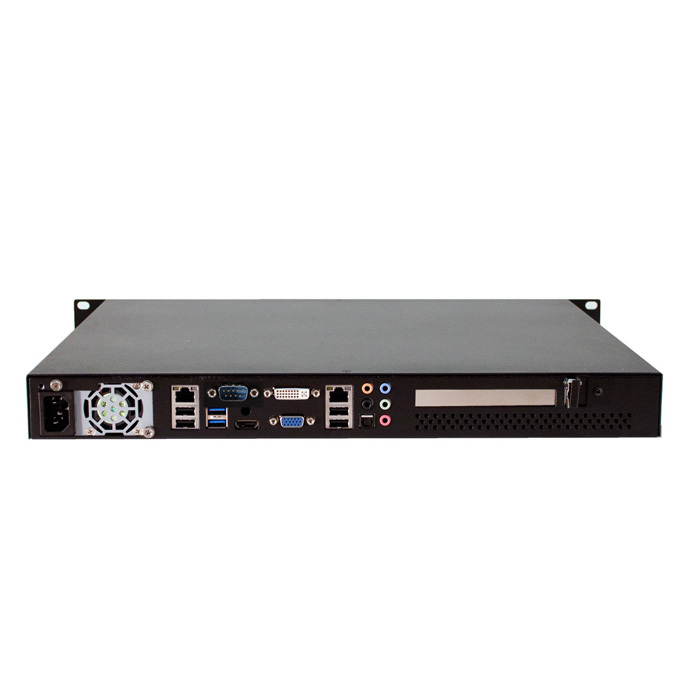 Internet Server, Network Appliance, Load Balance Gateway Control, Digital Signage, Medical Equipment, Banking Device, Phone System, Entertainment Server. Option: DC12V (option: 19V) Power Input, Build-in DC to DC Converter , UL, CE, FCC Certified.